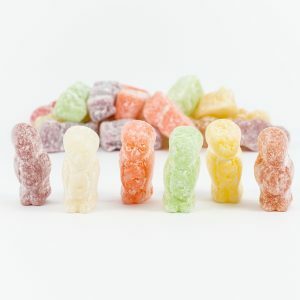 Wonka Nerds Strawberry & Grape Tiny, tangy, crunchy candy, Wonka Nerds Surf & Turf Tropical Punch & Raspberry are delicious little characters—small and peculiarly shaped yet lovably packed with taste. 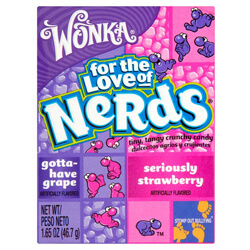 NERDS couples two complementary flavors in its iconic box designed with dual chambers. 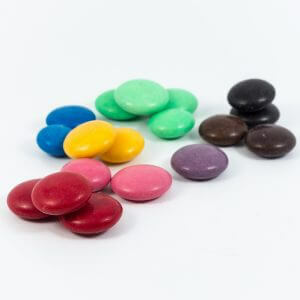 Putting delicious Grape and Strawberry side by side, NERDS lets candy lovers pour out petite pieces of pure delight.NERDS provide a delicious assortment of fruity flavors in a wide variety of vibrant colors. 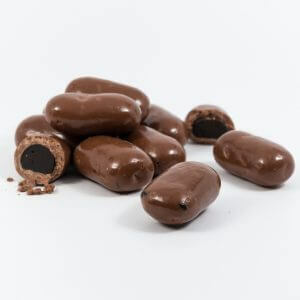 If your like us, you’ll love our range of from the USA and here in Australia. 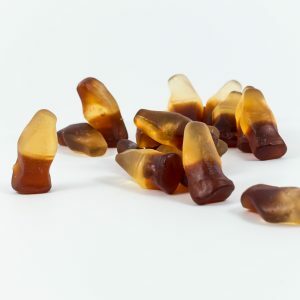 Dextrose, sugar, food acid (296), glucose syrup, flavours, colours (120, 133, 132, 129, 102, 110, 171), glazing agent (903).